As you might expect, I was not satisfied with Virgin's response to my letter. I voiced this, and it got picked up by some media. If you want to check it out, the links are here. But really, this is not about media. This is about getting aisle wheelchairs on flights so that this never ever happens to someone else. And I will not give up until that has been achieved. 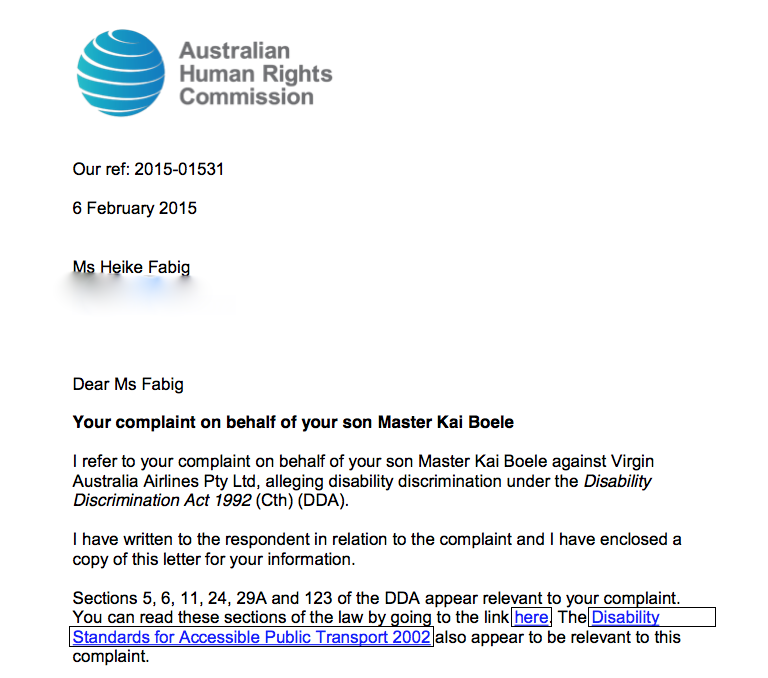 And thus I have made an official complaint to the Human Rights Commission under the Disability Discrimination Act (1992). This has so far been upheld and the process to resolve this has started. Until this is finished, I won't be making any further comments on this issue. I hope you all understand. Here's hoping Virgin do the right thing asap, and all the other airlines follow suit.